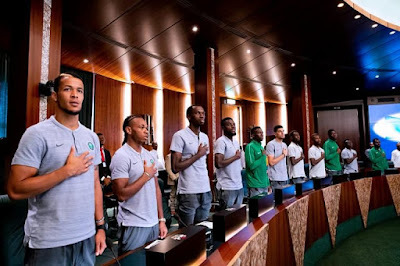 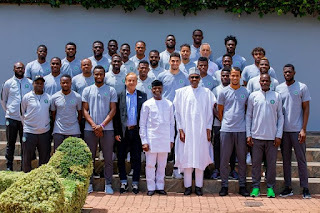 President Muhammadu Buhari on Wednesday hosted Super Eagles at the presidential villa, Abuja. 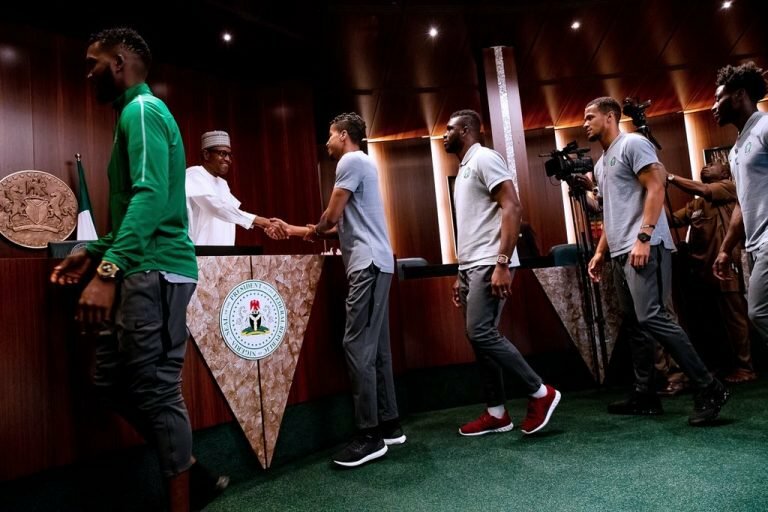 The Eagles were treated to a farewell reception before departing Nigeria for a friendly with England ahead of the World Cup in Russia. 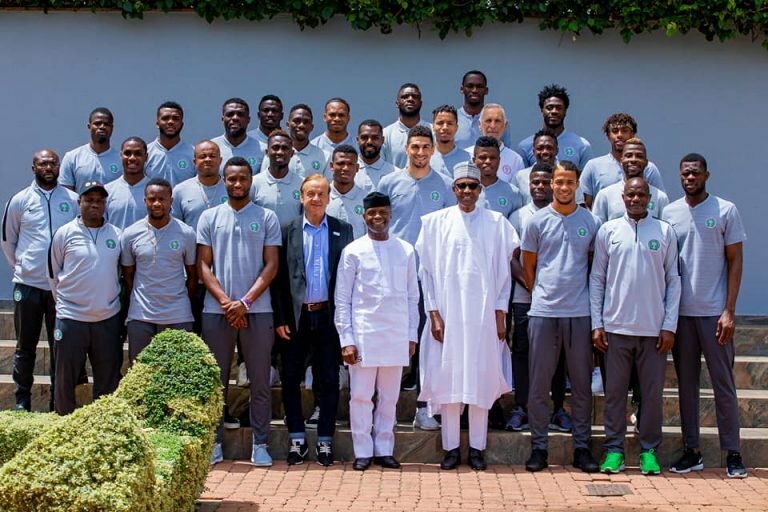 In attendance were Vice-President Yemi Osinbajo; Gernot Rohr, Super Eagles head coach, and Amaju Pinnick, Nigeria Football Federation (NFF) president. 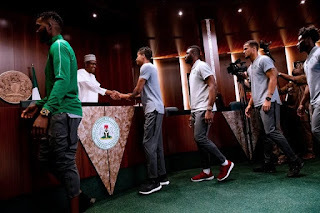 President Buhari asked the Nigerian team to play a clean and fair game but bring the World Cup trophy back home. He said that the team is very young but encouraged them to display the Nigerian spirit and their knowledge to a great advantage over their opponents.